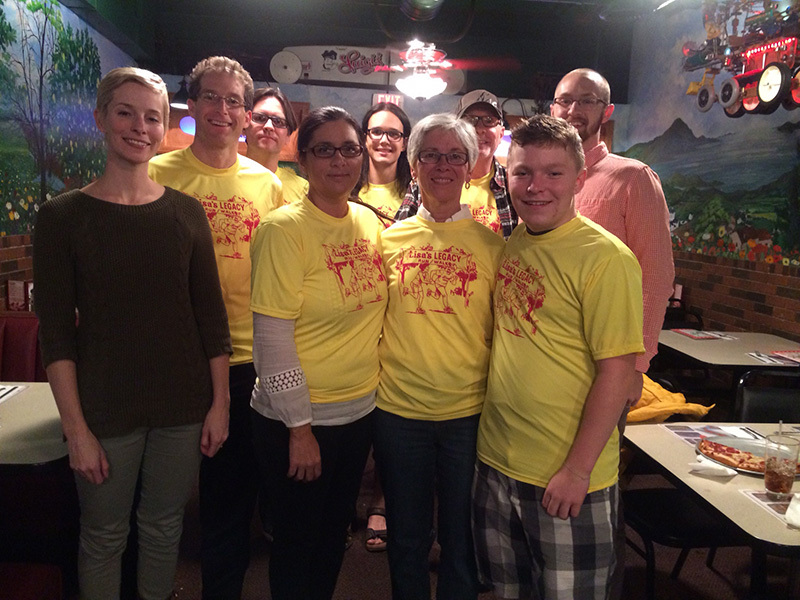 This past Saturday we had two Lisa’s Legacy relay teams in the Akron Marathon. Once again I have to give the Akron Marathon its props for putting on a spectacular event. First, they once again managed to call for beautiful Fall weather for the run. Couldn’t have been better. Second, the entire event was flawlessly managed. I didn’t go back to check what I wrote about last years marathon, but you could probably copy and paste it here except to add that the experience was even better. Every phase from the initial sign-up, bib pick-up, shuttles to relay zones and the final event at the Canal Park came off with impeccible precision. It made getting up at dawn on all of those summer mornings to head out to the soccer field or rail trail to put in all of those miles so much more gratifying and rewarding. Thanks to all of our team members for taking part in this year’s relay. More importantly, we got to raise awareness for the Lisa’s Legacy Fund at University Hospitals in Cleveland and the important work they’re doing to find a cure for all cancers. It’s a daunting task and I’m happy that Lisa can still do her part to contribute. If you’d like to contribute as well, you can do so by clicking on Lisa’s Legacy on the home page of this site. A link there will take you the Lisa’s Legacy Fund for Cancer research and education. So just like the Funky characters are doing in this weeks strips, you can play a part in hopefully bringing cancer to its knees. As much fun as these runs are, I look forward to the day when cancer is beaten and the race is really won.